Members of the industry all know that Fabulous Floors is the only magazine about flooring that speaks to the consumer. With its finger on the pulse of interior decor trends, the publication is so much more. Publisher Margo Locust spoke to Kronotex about a number of topics. Check of the excerpts below and click the link to see the full interview. Are you familiar with Fabulous Floors Magazine? It is the only magazine devoted exclusively to the inspiring beauty, design, variety and quality of today’s floor coverings for the home. It’s part wish book, part idea resource, part educational guide and part decor gallery for laminate flooring, as well as all other flooring types. Recently, the Kronotex USA Blog Team interviewed Margo Locust, publisher and editor-in-chief of Fabulous Floors, about her magazine and her perspective on an industry she loves dearly: floor covering. KX-USA: So floor covering retailers also use Fabulous Floors? Yes, floor covering retailers tell us that Fabulous Floors is an invaluable resource to have onhand to share with their customers. Since each issue covers every type of flooring, there’s no limit to its value to both consumers and sales associates. KX-USA: Sounds like Fabulous Floors is everywhere! Yes, the primary goal for me is to take it to the next level, to continue to remain the leading consumer magazine dedicated to flooring. We’ve launched into the digital world by putting Fabulous Floors in an electronic format as well as developed digital apps for smart phones on both Android and IOS platforms. These digital editions go along with the print editions, but not the same information… with video, voice over and animation. We’re not just a publication that puts a magazine on the newsstands. KX-USA: What is your perspective on laminate flooring? I think laminate is a category that has become very misunderstood. When Pergo came out in the mid-90s it was a hot new product. In fact many consumers still think that all laminate is called “Pergo” kind of like “Band-Aid” or “Windex.” Since then, laminate flooring has become known as a do-it-yourselfer product and frankly, I think nothing could be further from the truth! I think laminate flooring is truly an affordable luxury flooring option. Often, you can’t tell it from real wood, tile or stone. Now, with the new looks and advanced manufacturing technologies like hand-scraped looks, beveled edges, wider planks, it’s become even more fabulous. Consumers want it all. And laminate flooring gives them the styles they want at a budget that’s affordable. Surfaces 2014 is only two weeks away. Once again Surfaces is around the corner. You would think that since I’ve been going for over 20 years that it would get old; quite the opposite, it never does. In fact, the vendors get better, and the events are more exciting. Hanley Wood announced today the launch of two events designed to bring the flooring and surfaces industries together. TileExpo, a new trade show focused on the tile industry, will launch in conjunction with SURFACES and StonExpo/Marmomacc America (formerly S2). The International Surface Event will be held January 27-30 at the Mandalay Bay Convention Center, Las Vegas. NV. Exhibits will be open Tuesday-Thursday, and the Education Program opens Monday, January 27 and continues through Thursday. I speak with many people who have attended past shows. I’m always surprised when they say, “Why should I go this year? I’ve been going for 20 years.” Isn’t it silly to think a trade show this size wouldn’t have anything new? I’m actually astounded at what changes each year. There are always new exhibitors as well as educational speakers with different topics. As a speaker, I’m delighted when I have the opportunity to listen to another expert. I know I’m always looking for new material to share with those who attend my seminars. These days’ social media is the hot topic on everyone’s mind. If you’re like the rest of the world, you are either catching up or really haven’t a clue. If I were you, I would bring plenty of staff and have them attend as many seminars as possible. This way when you get home, you’ll have lots to share and new ideas for your business. If you need more information, why not hire one of the speakers to work with you and your staff? Most of the speakers are from the flooring industry and know as much about your business as you do! 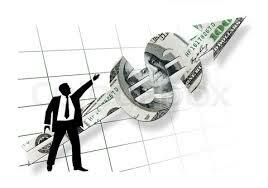 Consider this might be an opportunity to get some profitable ideas for your business. One of the things that is always amazing is the flooring installations. This is what makes our industry magnificent. Again, you will find some ideas for your business and get tips on the latest installation products. Consider bringing someone from your installation division to source ideas to improve your department. I suggest you take photos of the installation and post them on your social media sites like Pinterest and Houzz. Find ideas that encourage your salespeople to sell more products and excite your customers. As retailers, you take products and turn them into solutions. I suggest you talk with your manufacture’s marketers. What are they doing to drive customers to their web site and how are they utilizing social media? Can they give you some ideas for utilizing their social media and web site to drive traffic to your store? With social media being the buzz word, you have a perfect opportunity to get great ideas to improve your online business. If you don’t “talk the talk” that well, bring someone with you who can. Surfaces is more than about products. It’s about business solutions from some of the smartest manufactures in the world. And the solutions are free. 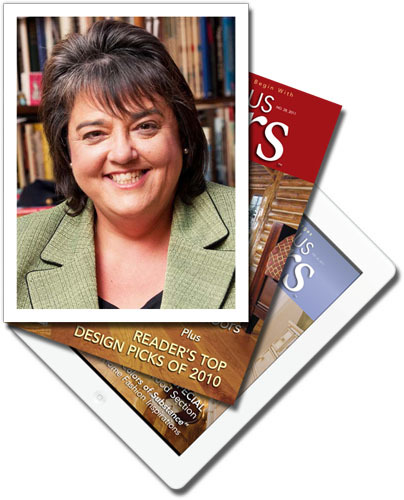 Lisbeth Calandrino is the Associate Publisher of consumer publication, Fabulous Floors Magazine and has been providing custom training solutions for the flooring industry for the past 20 years. She is conducting two seminars at Surfaces: “How to Build Motivation and Eliminate Stress in Your Business” and “Ten Ways to Use Customer Service to Make Your Business More Profitable.” Please check for rooms and times. Lisbeth can be reached at Lcalandrino@nycap.rr.com.